While going into the market for an asphalt milling machine, one of the critical things that you need to consider is the manufacturer. These are the guys who design and construct these machines, and thus even the features that you would be looking are all determine them. Therefore, the choice manufacturer crucial to getting the right machine. But one of the biggest problems is getting a good asphalt milling machine manufacturer, especially for the newbies. With so many companies, some of them being startups, some people have complained of poor quality products. You don’t want to make the same mistake. But how do you ensure that you don’t make a mistake even if you are buying for the first time? Well, there are various attributes that can help you. Check out the following. One of the best ways to tell a good asphalt milling machine manufacturer is through the reputation that they have built in the industry. If they have a good reputation or the customers have been rating them well and leaving positive reviews, it means that they are good at what they are doing. So you need to check on their platform social platforms or forums and find out the customers are saying. If there are negative comments, check them serious and see if the company gave a satisfactory response. Just like in any other field, the experience of asphalt milling machine manufacturers is an important factor to consider. The longer the manufacturer has been on the market, the better. That’s simply they have established a reliable system that has been tested over the years. With that, they are likely to produce a more reliable machine. However, you may also consider the relatively young companies being run on a state of the art factories and by highly experienced individuals. Another crucial thing that you need to consider is the location of asphalt milling machine manufacturer. Although the world is a global village, it is only in terms of communication, but the rest have not changed. If you buy from a particular manufacturer, you will probably buy replacement parts from them. 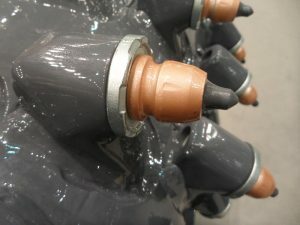 Therefore, you will need someone who can deliver wear parts on time to avoid downtime. That’s why you need to check the location of the manufacturer seriously. Last but not the least is the customer service. How do they handle customer issues? Do they offer 24/7 services? Check out what the previous customers are saying about these questions.